300 atlas fit is a superior cost effective work glove that has an ergonomically correct design to conform adding dust into the hand. The high level comfort for this type of glove is seen which does not come at the expense of its performance. The glove has excellent grip and superior durability. This is a longwearing glove that provides both all day comfort and performance. 300 Atlas Fit can be used for Masonry, Glazing, Roofing, Carpentry, Gardening, Concrete, Landscaping, Construction, and Farming. 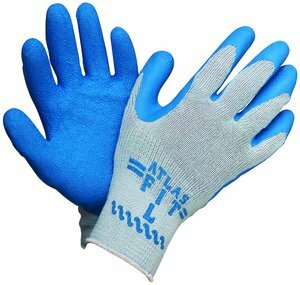 Atlas Fit 300 gloves are one of the best selling general purpose work glove. With their superior fit and durability, ergonomic design, these gloves are the popular choice of professional gardeners, nurserymen, landscapers and construction workers.